San Francisco bounce house rental and jump house rental company, Bay Area Jump Won Best of the Bay from KRON 4 and now they are announcing a new discount for $10 off any jumper or bounce house rental. San Francisco bounce house rental company owner, Barney Race of Bay Area Jump recently received recognition as the Best of the Bay from KRON 4 and to celebrate they are offering $10 off any jumper rental this summer and fall. In addition to providing excellent service and timely delivery Bay Area Jump also gives back to the Community. They provided a free jump house rental to a customer after experiencing her life, if only for a moment. Sarah Clemington of California suffers from a form of cancer that limits her ability to play with her children. Ms. Clemington’s daughter had her birthday. Sarah called Bay Area Jump for a bounce house rental in San Francisco. “I called Bay Area Jump and asked if they had any programs for charity donations, they weren’t sure what I meant, and I told the receptionist my story. She had Race call me back and he made my party unforgettable,” said Clemington. Race of Bay Area Jump provided the Clemington family with jump house rental for no charge but also included a popcorn machine, snow cone machine and cotton candy machine all for no cost. “Bay Area Jump is sympathetic to people in the local community who are going through hard times, given the circumstances it was the least we could do,” Said Race of Bay Area Jump serving San Francisco and about 100 other cities in Northern California. San Jose bounce house rental company, Bay Area Jump serving the entire Bay Area won the Best of the Bay award for jump house rentals in the San Francisco according to Parenthood.com. Race thinks the reason they won is their complete focus on customer satisfaction. “My single focus with regard to dealing with our San Francisco bounce house rental customers is delivering complete customer satisfaction. This means we actually deliver the jumpers on time,” says Race of Bay Area Jump. Judging by the Google reviews for Bay Area Jump he is right. “We have always made it a priority to give back to the community, especially with special circumstances like the Clemington situation,” says Race of Bay Area Jump. In addition to San Francisco and San Jose, Bay Area Jump provides party rentals to the entire Bay Area. They provide jumpers, slides, cotton candy machines, margarita makers, popcorn machines, carnival rides and just about anything someone would need to host a successful party. “We are the largest inflatable rental company in Northern California. We offer a large variety of party entertainment equipment. Anything a person needs ranging from a small backyard get together to a large corporate event can be handled by Bay Area Jump. We even have sumo wrestling, inflatable basketball courts and other large corporate inflatables,” says Race. One of the most frequent calls Bay Area Jump gets is from people who are looking for a bounce house rental in San Jose. “We have a large team of experts who handle the delivery and set up of the jumpers and other inflatables we rent. We spend a lot of time in San Jose and strive to offer on time delivery and excellent customer service,” says Race. Bay Area Jump continually updates their inventory to make sure they can match any party theme. This includes having the latest Marvel Comic related and Disney jumpers. 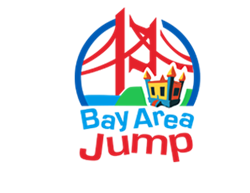 To learn more about Bay Area Jump please visit their website or call (800) 514-5867. People can schedule a jumper or other inflatable to be delivered online. They have over 400 inflatables to choose from. People should also mention $10 off coupon when seeking a jumper rental in San Francisco. The Bay Area Jump website is the best resource for seeing their vast inventory and picking the best party entertainment equipment for a party.